As part of their open house and car show in Southern California this past weekend, Saleen debuted their latest Mustang, the 2013 Saleen 302, in front of dozens of owners and enthusiasts. As you can see from the photos, the the 2013 model doesn’t look all that different from the 2012 models, featuring the same overall design that debuted in 2010 as the SMS 302 Mustang, with the most noticeable difference being the new LED taillights. Remnants of the former brand are still seen throughout the car, with the SMS logo featured on the wheel caps, dash plaque and rear bumper. 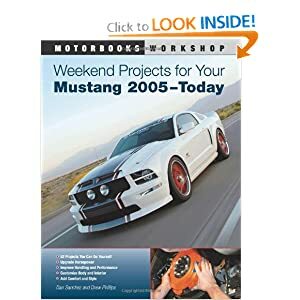 Even so, no one will mistake this Mustang for being anything but a Saleen with the prominent windshield banner and Phil Frank-designed bodywork. The particular car seen here is an SC model, featuring Saleen’s 296 supercharger system, as well as upgraded 14-inch brakes, S4 performance suspension system and leather and Alcantara two-tone seating. You can see our detailed photos of the 2013 Saleen 302 Mustang in the gallery below.